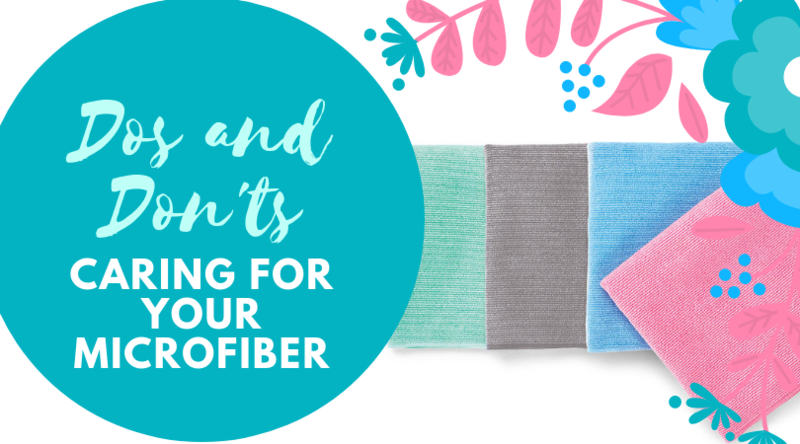 Norwex’s microfiber cloths are a gift sent from heaven! They clean any surface that would typically be cleaned with soap or chemical cleaners by just using water. There’s no need to stock up on chemicals with one of these on hand, water and an EnviroCloth is all you need. 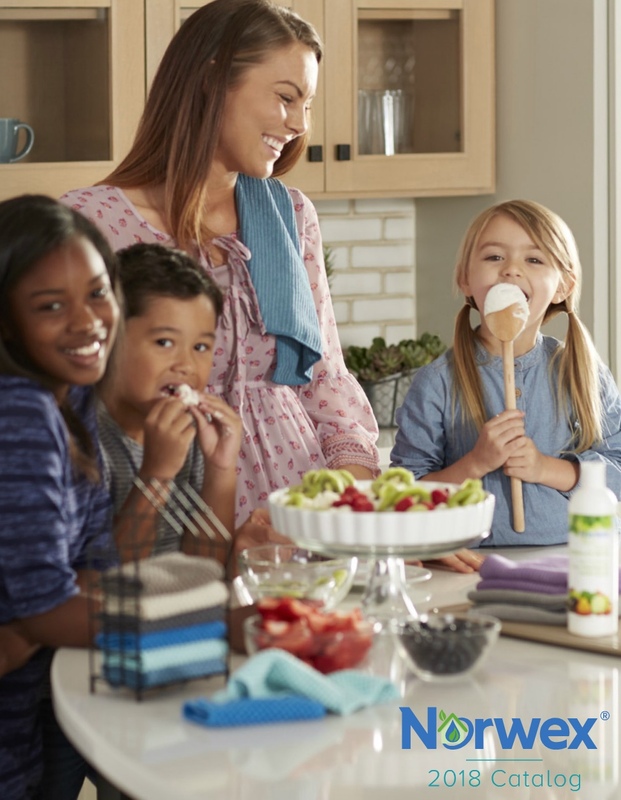 You can save loads of money and time with Norwex’s microfiber cloths, and these cloths can actually last a very long time. Follow these dos and don’ts to keep your microfiber nice and fresh! 1. Rinse With Warm Water– It is important to rinse your microfiber cloth with warm water after each use. This will help get rid of any matter stuck to the cloth that may cause odors. 2. Use a Non-Sudsing Dish Liquid– You can use Dawn, Norwex’s Dishwashing Liquid, or any other non-sudsing dish liquid to clean your microfiber. I recommend doing this once every other day or so. All you have to do is put a drop of liquid on a wet cloth, rub the cloth together, then rinse with warm water. 3. Hang Your Microfiber– The BacLock* in the cloth is a micro silver antibacterial agent that disinfects the surfaces we wipe with the microfiber. It also works to self-purify the cloth and inhibits odors from bacteria, and mold and mildew growth within the cloth. Although the microfiber works to keep itself clean, having a dry cloth will allow the BacLock agent to go to work. This will keep the cloth from starting to smell. 4. Wash with Norwex’s Laundry Detergent– For a deeper clean on your microfiber, it is a good idea to throw it in the wash with Norwex’s Laundry Detergent every once and a while. This gives a deeper clean than just rubbing with dish liquid, and will obliterate any smells or stains your cloth may have collected. 5. Dry Cloths with Lint-Free Laundry– If you wash the microfiber cloth with clothing items containing lint, the lint can get stuck in the weaves of the microfiber. Dry your cloth with lint-free laundry to keep it in it’s best shape! 6. Super Soak– If you have found that your Norwex microfiber has been holding onto smells, or not cleaning as well, it may be time for a super soak. For the super soak, you need to boil 6 cups of water with a large pot. Once the water is boiling, add two tablespoons of Norwex’s Laundry Detergent and remove the pot from the heat source. Once the solution has stopped boiling, add your microfiber cloths and let them soak overnight. After the cloths have soaked, launder them! This is not something you have to do regularly, but it is a good idea to give your cloths a super soak a few times a year. 1. Use Fabric Softener or Drying Sheets– Both fabric softeners and drying sheets will add a film to your microfiber. If this film continues to build up, it will cause your microfiber to not clean as effectively. 2. Bleach Norwex Products– DO NOT BLEACH! Bleach destroys the fibers within your cloth, and will severely affect how well it can clean. This goes the same with all other Norwex products, none of Nowex’s products need bleach. 3. Use Dye-Containing Laundry Detergents– These types of detergents will add unnecessary chemicals to the cloth and can weaken the fibers in the cloths. Avoid using these, along with detergents that are strongly fragranced. 4. Use Cloth with Soap or Cleaners– All you need for your microfiber is water! It’s silver cleaning properties will kill over 99% of bacteria every time, on all surface types. It is a good idea to stay clear from using it with any other chemicals. Some chemicals in cleaning solutions can actually weaken the fibers in the cloth and make it not last as long. It is also good to keep unnecessary chemicals out of the home for you and your family’s health! If you follow all of these dos and don’ts, your Norwex microfiber will last you years! Imagine all the chemicals you will be keeping out of your home, and all the money you will save on them.